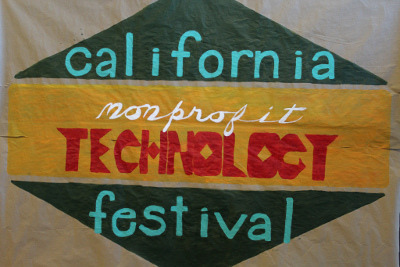 Join us on June 20 and 21 in Fresno, CA, for the California Nonprofit Technology Festival. The California Nonprofit Technology Festival is Aspiration's state-wide, participant-driven gathering designed to unite and empower nonprofit staff, community organizers, social justice techies, activists, students, and fellow capacity builders to share knowledge, build tech capacity, and foster relationships for social change. The CA Tech Fest is envisioned as a safe and collaborative space for folks to share their thoughts, engage in critical dialogue, and build genuine connections across their movements and networks. The agenda will be designed for folks who want to grow their technology skills and strategic knowledge while connecting with others who are passionate about building and organizing across movements. If you're interested in participating but need support getting there, please get in touch with us. We have registration scholarships and limited travel stipends for those who need it. Email us to learn more. Location: We'll be hosting CA Tech Fest at Hotel Piccadilly. 2305 West Shaw Ave. Fresno, CA 93711. Technology strategy and planning: processes and practices for richly integrating technology into programs, campaigns, and other community efforts. Best practices for online communications, including coordinating messaging and online channels as well as using analytics to measure reach and engagement. Practical digital security: what steps you can take to better protect organizational data and utilize more sustainable practices. Paying for technology: how to limit costs while also finding ways to pay for essential tools and services. Managing and protecting your organization's online identity, from domain names to contact information to security certificates and other elements of online identity. Managing technology projects, both in terms of scoping deliverables and roles to actually seeing things through to completion. Sessions at past events have been led in English and Spanish, on topics including digital storytelling, video production, data visualization, online and offline communications strategies, website maintenance, text and email encryption, protecting organizational data, and activist self-care. Check out the most recent event agenda and session notes on our CA Tech Fest wiki. The CA Tech Fest is participant-driven at every level and is designed with a combination of planned sessions and participant-led discussions. To make sure the topics reflect the needs, passions, and talents of the people in the room, agenda topics are based on input from participants both before and during the event. We invite requests and suggestions on agenda topics and outcomes that would make everyone's time at the event feel meaningful and well spent. We encourage you to bring your stories, ideas, questions, and knowledge to share. If there is a session or discussion you would like to facilitate or if you have an idea for the agenda, let us know. We are honored and excited to be co-convening CA Tech Fest Fresno this summer with YouthWire and the Central California Environmental Justice Network. YouthWire, a project of Community Partners, provides a unique lens into the issues that matter most to young people by unifying and showcasing their stories through youth-led journalism and media projects across California. Check out their state-wide youth-media network: The kNOw Youth Media in Fresno, VoiceWaves in Long Beach, Coachella Unincorporated in Eastern Coachella Valley, and We'Ced Youth Media in Merced. The Central California Environmental Justice Network (CCEJN) fights for environmental justice for underrepresented communities in the San Joaquin Valley. CCEJN works to mitigate hazards from pollutants via education, policy, and reporting networks. We always welcome new collaborations with organizations and partners from across California. Please get in touch to start the conversation! Sliding scale registration and registration scholarships are available. Contact us to learn more. We invite you to check out our Participant Guidelines for creating inclusive and safe spaces for sharing and exploration at Aspiration events. Reach out to us if you want to connect or have any questions about attending. We look forward to seeing you there!